Another lunchtime webinosh with Dr. Will Thalheimer. The topic today: Myths the business side has about learning. Inaugural oath flub. Justice Roberts tried to administer the oath from memory. He should have had a job aid. Next Brown Bag will be Friday February 6th. Stay tuned for topic. How has the economy affected your learning unit? Client asked him to develop a course for business side. To help improve on-the-job learning. Thought it would be good to address myths (asked clients, asked question on LinkedIn, looked at books). Asked participants to submit the own myths they've come across. 6. Manager think learning and development is a low-priority part of their role. 5. Learners know how to learn. 4. 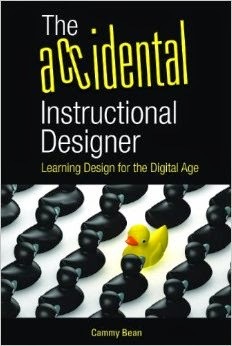 Training and instructional design require no special skills or competencies. 3. Information presentation is sufficient as a training design. 2. Training alone produces improvements in on-the-job performance. 1. Bad learning designs are thought to be good learning designs. On-the-Job learning is forgotten or not utilized or not supported. It's a training issue. ("We need a course on this" when it might really be a management issue). Formal training has little impact. Experienced workers don't need training. Learning development is easy and can be shortened or short-changed. Technology is key to learning success (we must use elearning, social media, video etc. -- nothing else is effective). Learning designs don't need to specifically minimize forgetting (enable remembering). Particular behaviors are easy to learn. Learning is always beneficial. It is never disruptive or distracting. It never misinforms. Opportunity costs of learning can be ignored. We have to measure ROI. We don't have to measure learning. Given that the Business side holds some myths as self-evident, what can we as learning professionals do about it? 55% responded that these myths cause great damage to learning and development. Business side doesn't understand what we do, don't see the value add of learning and development. Help people understand how learning works. Update: Here are Will Thalheimer's notes on the session. Thanks for the helpful writeup! Did Will or any participants have suggestions for where we could find case studies of good design? As in, "First we did the usual info dump and we got a pathetic result, and then we actually used some instructional design principles suggested by research, and we got this way better result. Here's the first course, and here's the second one." Y'know, it's not just management in corporations that need this sort of knee-up. My experience is that education centres, even with their management of educators, frequently forget/turn-a-blind-eye to/are ignorant of some of the issues you've brought forward to us here. Whenever there is the gap between the engine-room and the pilot, there are issues as to where we are going.